The second World Golf Championships event of the season kicks off on Wednesday at Austin Country Club with the WGC-Dell Technologies Match Play. And yes, if you haven’t heard, Tiger Woods is in the field for the first time since 2013. It’s a brand new format since the last time Woods played, so if he’s curious on how it all goes down, he should read this. You should too. Here’s what you need to know about the WGC-Match Play format. Sixty-four of the best players in the world. Adam Scott and Rickie Fowler were the only invited players who declined invites. The field is divided into 16 four-player groups (the draw is Monday night), and each player will compete in round-robin matches on Wednesday, Thursday and Friday. To complete the draw, players are put into pools based on their standing in the Official World Golf Ranking, and a player from each pool makes up one group. 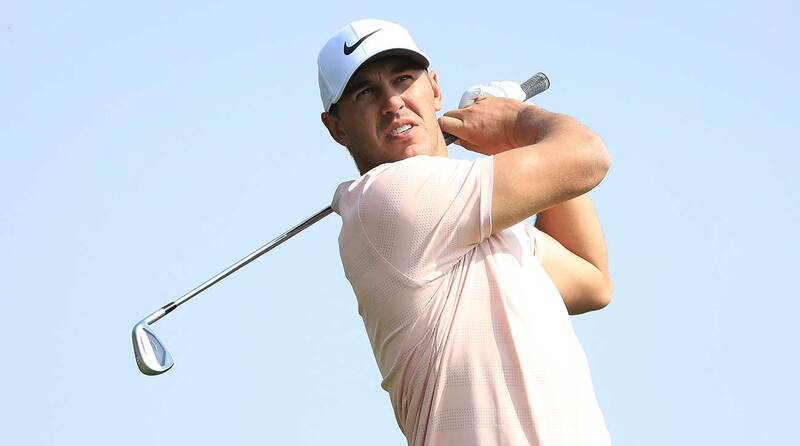 Brooks Koepka is one of the headliners in this week's WGC event at Austin Country Club. Winning a match is worth one point, a halved match is a half point and a loss is zero points. No matches will extend beyond 18 holes, and the winner of each group will advance to the single-elimination Round of 16. If two or more players in the same group are tied after the round-robin session, they’ll compete in a hole-by-hole playoff to see who advances. The eight Round of 16 matches will take place on Saturday morning, and the winners move on to the quarterfinals Saturday afternoon. The four remaining players compete in the semifinals on Sunday morning, leading to Sunday afternoon’s first-place and consolation matchups.